Exide Industries scrip is currently trading at Rs. 268.85, up by 0.75 points or 0.28% from its previous closing of Rs. 268.10 on the BSE.The scrip opened at Rs. 273.80 and has touched a high and low of Rs. 274.85 and Rs. 267.25 respectively. So far 31424 shares were traded on the counter. The BSE group 'A' stock of face value Rs. 1 has touched a 52 week high of Rs. 274.85 on 10-Jul-2018 and a 52 week low of Rs. 192.85 on 06-Feb-2018.Last one week high and low of the scrip stood at Rs. 274.85 and Rs. 259.90 respectively. The current market cap of the company is Rs. 22843.75 crore. The promoters holding in the company stood at 45.99%, while Institutions and Non-Institutions held 33.73% and 20.28% respectively. 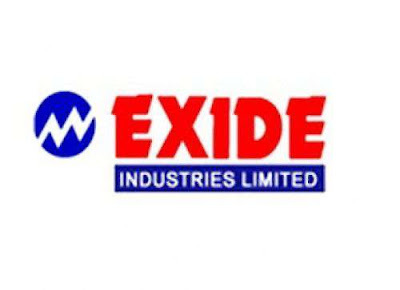 Exide Industries is working on the development of appropriate lithium-ion technology for applications in the country particularly for the emerging demands of electric vehicles (EVs). The company has the licence to use and manufacture battery packs and modules using lithium-ion technology for various applications developed by Centre for Electric Vehicles, IIT Madras and Grinntech Motors and Services. The licence is effective from August 28, 2017 and has validity up to August 27, 2027. Exide Industries manufactures the widest range of storage batteries in the world from 2.5 Ah to 20,400 Ah capacities, covering the broadest spectrum of applications. It is India’s largest producer of automotive and industrial batteries, with seven manufacturing plants strategically located across the country.